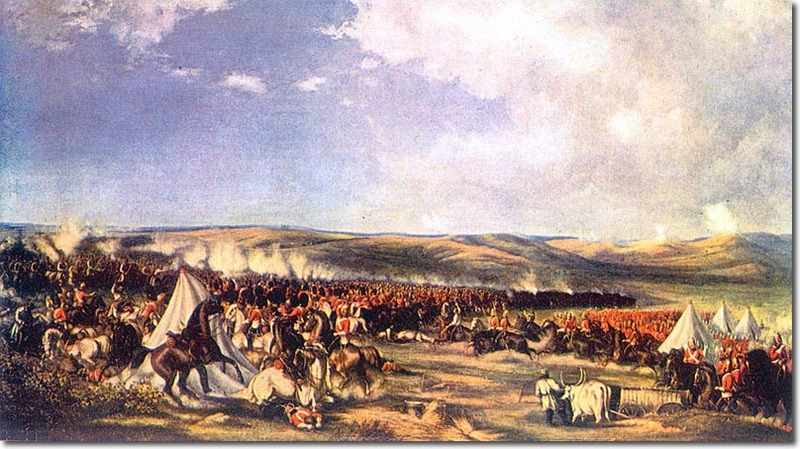 The Heavy Brigade are charging up the slope into the black-looking mass of Russian cavalry. The Scots Greys in their bearskin caps are on this end of the front line with the Inniskilling Dragoons further away on their right. The 5th Dragoon Guards are on the right of the picture, in support of the Greys, and can be seen more clearly in the detailed picture below. This print was published in Pomeroy’s regimental history and says in the caption that the print is ‘from the picture by General Elliot, himself an officer in the regiment, and present at the charge.’ This was Lieutenant Alexander Elliot who was Scarlett’s ADC and one of the first men to engage with the enemy cavalry. 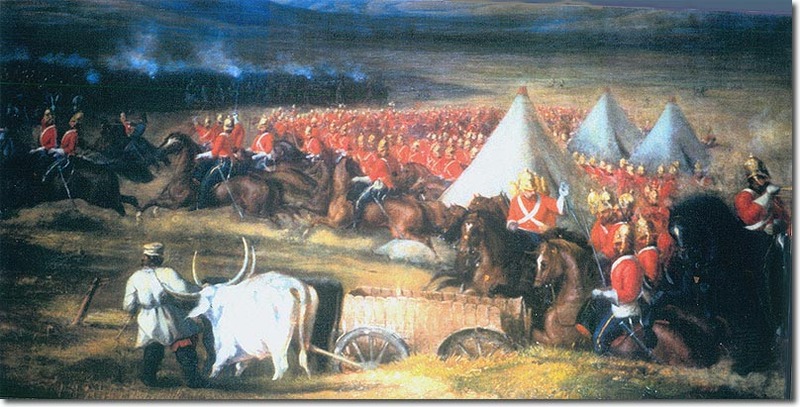 This detail from the print of the Charge of the Heavy Brigade shows the 5th Dragoon Guards riding through the tents of the Light Brigade camp. The men are bearded and wear unplumed brass helmets.